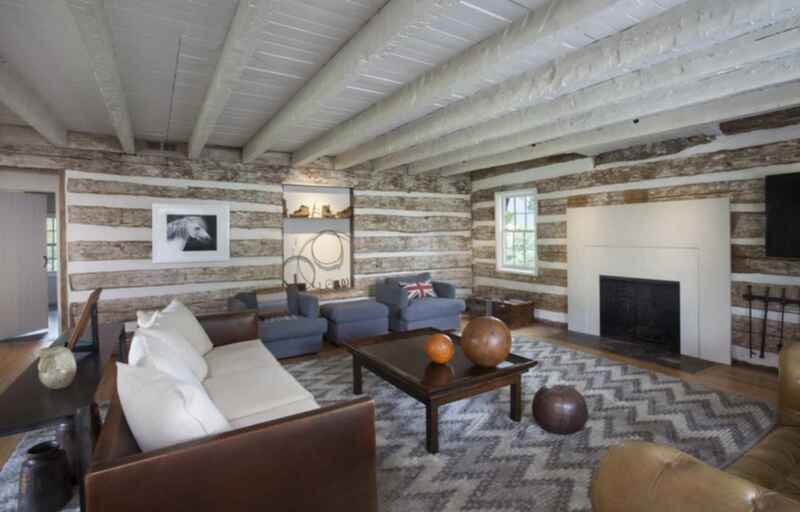 The original log cabin was entirely concealed behind painted wood paneling on the interior and stucco on the exterior. Logs were cleaned with a wire brush to maintain much of the original whitewash. Chinking between logs was carefully repaired, replaced and stained with tea to the perfect color. One of the log cabin's original windows, boarded up when the 20th century addition was built, was revealed and turned into a display shelf for artifacts found during the renovation. A custom fabricated concrete fireplace surround adds a simple new element in contrast to the texture of the log walls.